On the heels of the HTC One M10 Perfume renders, we have some live images of Samsung’s trump cards for 2016: the Galaxy S7 and the Galaxy S7 Edge. The first image is of the Galaxy S7, which surfaced on Vietnamese website, reviewdao.vn, who claim to have a hands-on with the device. The image shows the back of the device, which now sports a distinct curve. Because of this, the device appears to have a thin mid frame with a thick overall appearance. The rear camera hump also appears to be less, which is in line with various previous rumors. 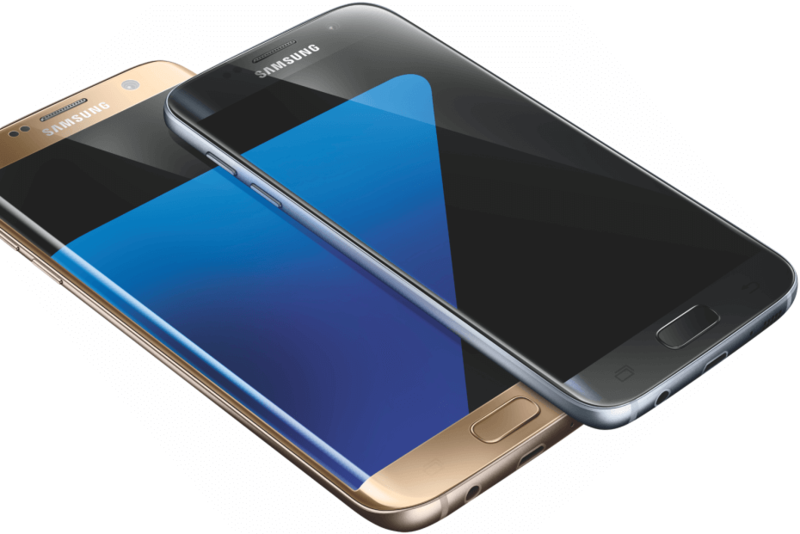 The same source mentions a few more details about the S7. They claim that there will be two processor variants of the device, Exynos 8890 and Qualcomm Snapdragon 820, with the SD-820 intended for sale in China and USA. Surprisingly, they also mention that the SD-820 powered S7 will be the better performer of the two, but CPU and GPU performance of the Exynos S7 will be better by 15%. We suspect this to be something that has been misinterpreted by us due to the language barrier, so please withhold judgement on this. Further, the source mentions that the battery life on the S7 is on par with the Note 5, with quick charging juicing the device up from 0-80% in just 30 minutes, which is remarkably good if true. They also note that the metal frame on the device is made out of Magnesium, rather than Aluminium as was the case with the predecessor. The second image comes to us from a user over on Chinese micro-blogging website, Weibo. The device pictured is the Samsung Galaxy S7 Edge, showing off its AnTuTu score. There is no more information beyond this, so we do not know the processor that is inside the device. The S7 Edge does score an impressive 134,704 on AnTuTu, implying that the roof will once again be raised in what we can expect from flagships. What do you think about the new S7-duo images? Let us know your thoughts in the comments below! Samsung Galaxy S7 Forums Now Live!